The troubled note-taking behemoth says many of those apps’ features are available in Evernote proper or elsewhere. Is Evernote getting out of the retail business? Evernote is shutting down some of its single-use apps as it tries to turn the company’s fortunes around. Most notable is Skitch, a popular tool for annotating images that Evernote acquired in 2011. Evernote will continue to support the Mac version, but is discontinuing the Windows, Windows Store, iOS, and Android versions. 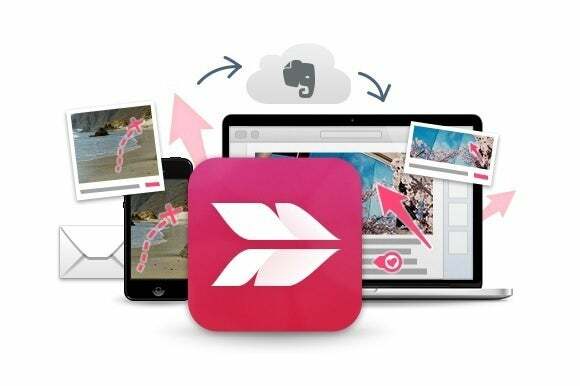 Evernote says some of Skitch’s features are available within Evernote proper. Evernote is also discontinuing Clearly, a Chrome browser extension that removed clutter from online articles and saved them for later reading on other devices. It was a lot like other reader services such as Pocket and Instapaper, and is similar to reader views that are now built into some browsers, including Microsoft Edge and Apple’s Safari. Evernote is directing Clearly users to its Web Clipper extension, which lets users save portions of a webpage instead of just the whole thing. Finally, Evernote will stop offering a dedicated app for Pebble smartwatches. As an alternative, Evernote points to the third-party Powernoter app, which is actually more useful than Evernote’s own app with the inclusion of voice notes, voice search, and Pebble Timeline support. In all cases, Evernote has stopped delivering updates, and will no longer offer these apps for download after January 22. The apps may still function for users who’ve already downloaded them, but Evernote isn’t making any guarantees that they’ll work in the future. The story behind the story: The shutdowns come during tough times for Evernote, which has laid off 18 percent of its workforce this year, shut down three of its 10 global offices, and replaced its CEO. The company has not yet figured out how to turn note-taking into a sustainable large-scale business, which may explain why some of its smaller or less successful efforts are going away. That’s not to say the move is without controversy; Evernote’s announcement post is already filled with angry comments from distraught users, who must now alter significant parts of their workflow.